L.E. 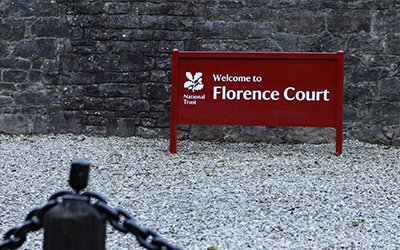 Graphics are proud to have been working hard with National Trust throughout the Northern Ireland region in recent months to carry out a major overhaul of external signage at many of the Trust’s key properties. Following success in two separate and independent tendering processes to design, supply and fit new external signage for properties in the Mid-Ulster and Fermanagh property groups L.E. 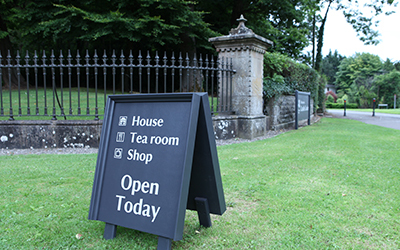 Graphics became a preferred supplier for external signage to the National Trust Northern Ireland Region. 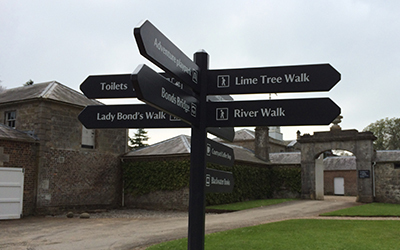 Wayfinding signs have now been installed at The Argory, Florence Court, Divis & Black Mountain, Castle Coole, Rowallane Gardens and Crom Estate with other properties in the pipeline. David Donaldson, Managing Director of L.E. Graphics explained that design and material were of key importance so that the signs would blend in with the period properties where they are installed but yet would provide may years of robust service, situated outdoors in all weathers. 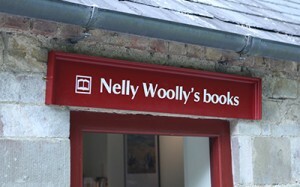 “Wood has been chosen as the primary material for the construction of the signs. Whilst modern materials such as PVC, Aluminium and Acrylic are now commonplace in the sign industry, they cannot replicate the originality, warmth and character of hand-made wooden signage. However, in order to achieve a long life span for the signs we have been careful to select premium hardwoods which have been treated with a multi-coat paint system.” he said. 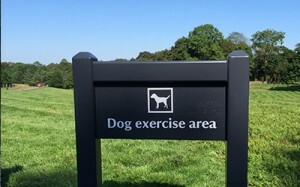 Also important in the whole process is that visitors to the properties are subjected to minimal disruption during the installation process and to this end L.E. 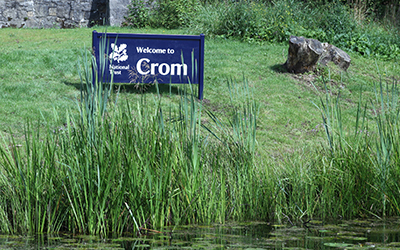 Graphics employed unique installation methods with the use of hydraulic equipment for boring post holes and using a special hydrophobic synthetic compound to replace tradition concrete when setting signs “This allows the signs to be set in place and the ground restored around them within minutes rather than the normal process of propping up posts and returning the next day to remove props and restore the surrounding area. It also has the added advantage of sealing the sign posts from water ingress thus prolonging the life of the signs” explained David.